For over 100 years, Elena's L'Etoile has been the go to place for generations of actors and celebrities from stage, screen and the worlds of art and literature. Welcome to her blog. Tarte au citron is arguably France's most iconic dessert. It's ominpresent on pretty much all French dessert menus and, here at Elena's L'Etoile, we sell more tarte au citron than any of our other offerings. Its timeless popularity is for good reason, who can possibly resist the sharp tang from the lemon contrasted with the short buttery pastry casing? Additionally, you will need a 20cm fluted, loose bottomed pastry case. 2. In a separate bowl, beat the egg yolks with 2 tbsp of cold water. Add it to the well and then use a round bladed knife to mix it altogether. If the mixture is too crumbly, add a tiny bit more water. 3. Bring the pastry into a ball, wrap in cling film and then chill for at least half an hour in the fridge. 4. Preheat the oven to 190C. Roll out the pastry until it's 3mm thick using extra flour to stop it sticking to the worktop surface and rolling pin. Use it to fill the pastry case and trim the excess. Prick all over with a fork. 5. Cover with baking paper and add baking beans (or in our case, dried chickpeas!) and blind bake for 15 minutes. 6. Remove the baking beans and bake for a further 5 minutes. 7. Reduce the oven temperature to 150C. 8. Now to make the filling. Beat the eggs and egg yolk with the sugar, then stir in the cream until smooth. Stir in the lemon juice and zest and pour into the pastry case. 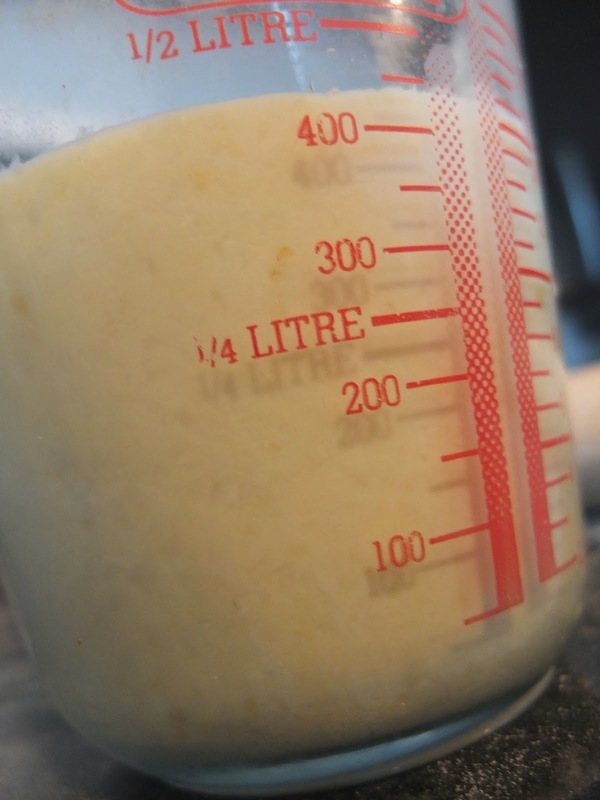 A top tip here is to put the pastry case empty into the oven and then pour the filling in using a jug - spillages avoided. 9. Bake for 30 minutes until just set. Allow to cool and dust liberally with icing sugar. Thanks for a tasty simple recipe. It's in the oven - so far so good!